Postcode for your sat nav: CV3 4FR. We are closed Christmas Eve, Christmas Day and Boxing Day. Click here for a location map and public transport details. Amstrong-Siddeley were a locally based firm that built luxury cars and aero engines. 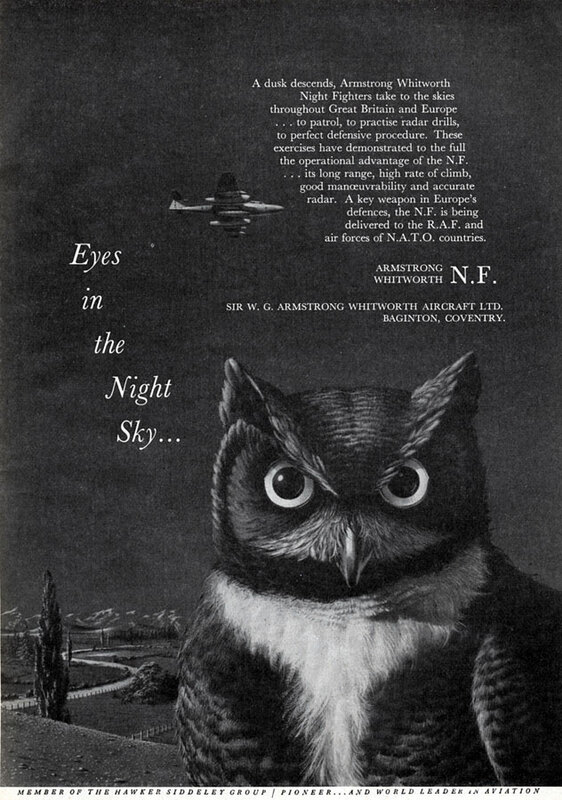 This was an advert from December 1953 extolling the virtues of the Armstrong-Siddeley-built Meteor night fighter. 8 years after the first Meteors had entered service with the RAF, A-W and Glosters were still selling the aircraft to foreign air forces and the RAF. It was rapidly becoming outclassed by newer fighters, but as a night-time bomber-destroyer it was still a useful aircraft and around 550 Meteor night fighters were built. An example of the Meteor NF.14 is on display at the Museum. Share via Twitter Facebook Email Other Copyright © 2019 Midland Air Museum. 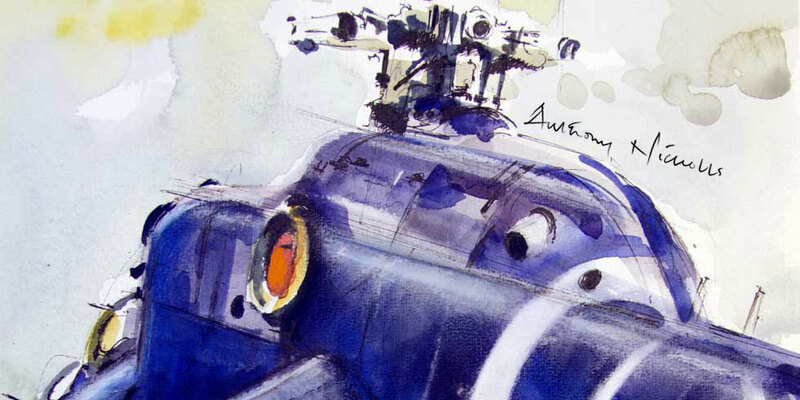 Artwork courtesy Anthony Nicholls AGAvA.